Click here to view our range of gas boilers. If your boiler is 10 years old or more you are undoubtedly burning more gas than you should. Todays high efficiency gas condensing boiler, fitted with modern heating controls, can save you up to 40% on your gas bill annually. 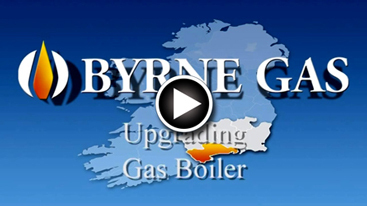 A boiler and controls upgrade from Byrne Gas is up to €1000 cheaper than that offered by Bord Gáis or Airtricity. Grants are available to help you to upgrade your central heating system, and Byrne Gas have an exclusive full five year parts and labour warranty (T&C Apply) on all new boilers we install. Talk to Byrne Gas, we can turn down your heating bills.